Designed and constructed to hold and display numerous figurines and other personal items, this hardwood Curio Cabinet is made from birch and birch plywood. There are 5 - 1/4" thick glass shelves that are supported by rubber-tipped shelf pins. 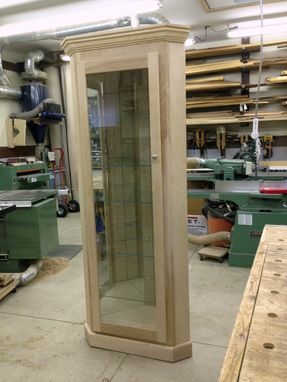 Two large mirrors are incorporated into the Curio Cabinet by the use of grooves cut into the inside pieces, and can be exchanged out for new mirrors if the original mirrors are cracked/broken. The door has a 1/8" thick piece of glass that is secured with rubber-tipped glass retainers, and the heavy wood-framed glass door is supported by 5-"Euro-style" hinges. 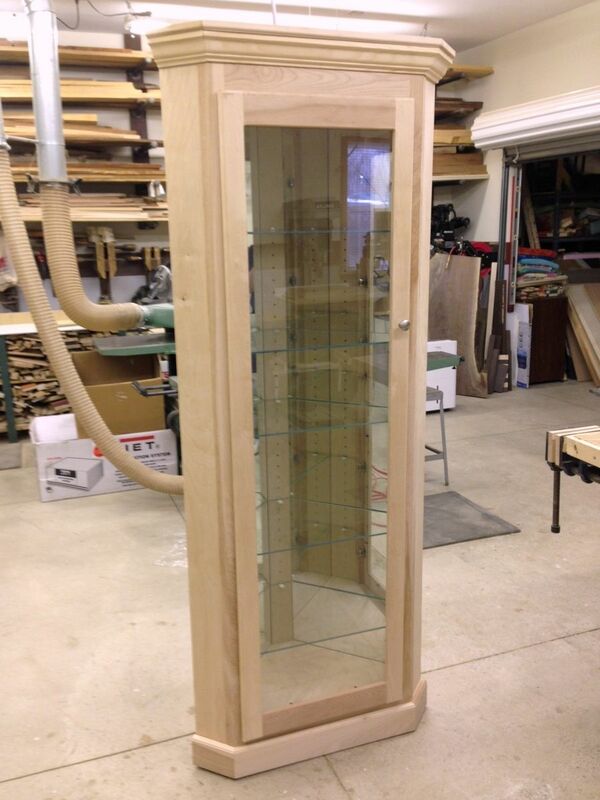 A satin silver knob completes the hardware for the Curio Cabinet. Leveler feet allow the customer to level the cabinet wherever it is displayed. 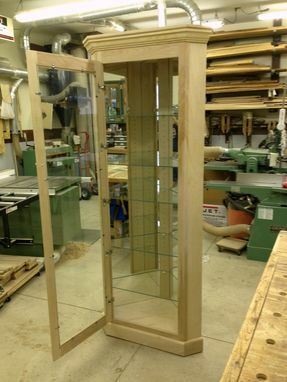 The customer chose to "white wash" the Curio Cabinet.